Recently I have noticed I am reading the same blogs again and again and I have decided to create a TAG post, called Share The Love. People should post blogs they are loving at the moment and who writes their 'Go-To Blogs' also why they love them. I am going to do this type of post every so often as I love finding new blogs to read so I thought you might like it too. The blogs below are tagged in this post and I would love to read your Share The Love posts. 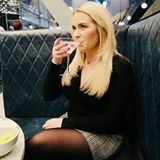 Firstly is BDP World written by Becca - She is soooo awesome and I absolutely love reading her blog, it's a mixture of fashion and beauty, with a heap load of funniness, Becca (from what I have read) is the type of person that you want to go for drinks with and I can imagine you having such a laugh! Secondly is the absolutely lovely Sandra who writes The Beauty Balm. Sandra has such a great mix of posts, mainly beauty but also lots of life in general posts (as I like to call them) Sandra is one of the sweetest ladies I have spoken to online, always polite and just generally NICE! Who are you favourite bloggers, I would love to know? Love this. Just checked out all those blogs. One of my favs has to be mediamarmalade.com. Great pics and outfits! You are very welcome Sandra! Interesting post. Now you can use this indian products directory to promote shopping bags import & export business.